GSSSB Junior Assistant Final Answer Key 2016 (06-03-2016) Available at gsssb.gujarat.gov.in. Gujarat Secondary Service Selection board (GSSSB) has released GSSSB Junior Assistant Exam Final Answer Key 2016 on its official website at gsssb.gujarat.gov.in. So those applicants who get appeared in exam are requested to download answer key from portal website when GSSSB board. Junior Assistant Examination was held on 06 March, 2016. A large number of candidates appeared for this exam. 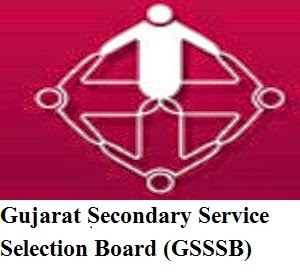 Now they all candidates can download GSSSB Answer Key through below link. Update (30-03-2016) GSSSB Junior Assistant Final Answer Key 2016 has declared on today. So candidates can download final answer key and stay connected with us for GSSSB Junior Assistant Result 2016. How to Download GSSSB Junior Assistant Final Answer Key 2016 ? Download and save pdf file. You can take print out of it for further reference.